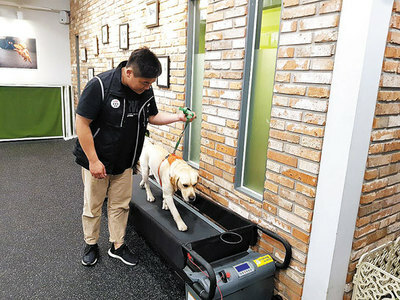 One in every four families in Korea has a pet, a survey shows. KB Financial Group on Wednesday released the findings of the survey of 1,700 adults aged over 20 nationwide it conducted last month. Some 25.1 percent of respondents said they have pets at home, with more than three-fourths of them owning dogs and a-third cats, as indicated on a multiple-choice questionnaire. Other common pets were goldfish, tropical fish and hamsters. The average monthly cost of raising a pet was W103,000 for a dog and W78,000 for a cat (US$1=W1,114). Food accounted for most of the cost, followed by medical expenses, toiletries and grooming products. Some 85.6 percent of pet owners said they viewed their pet as a family member.